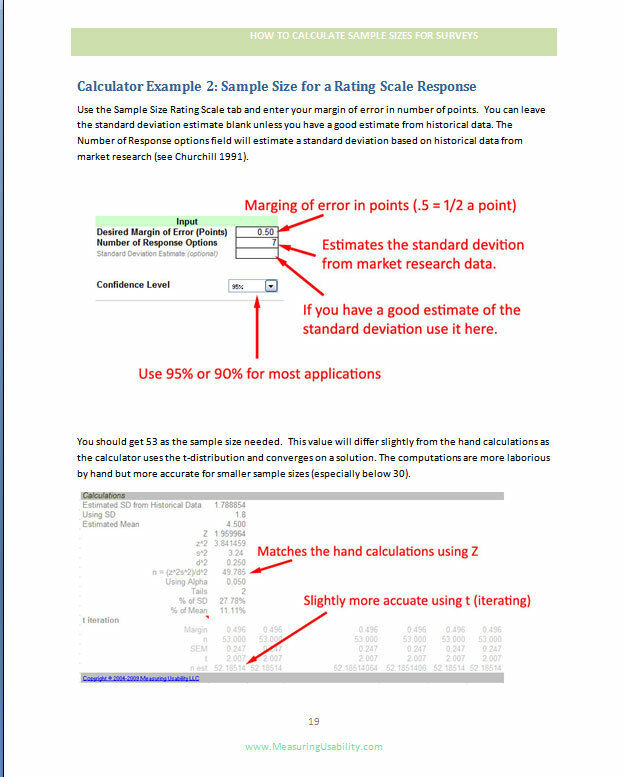 A 27 page how-to-guide and Excel calculator that computes sample sizes for rating scales and binary response items. 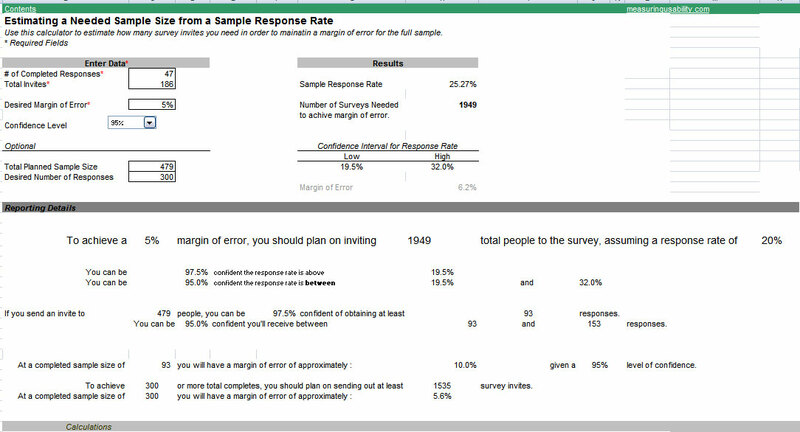 This package allows you to easily answer the common question: What sample size do I need for my survey? 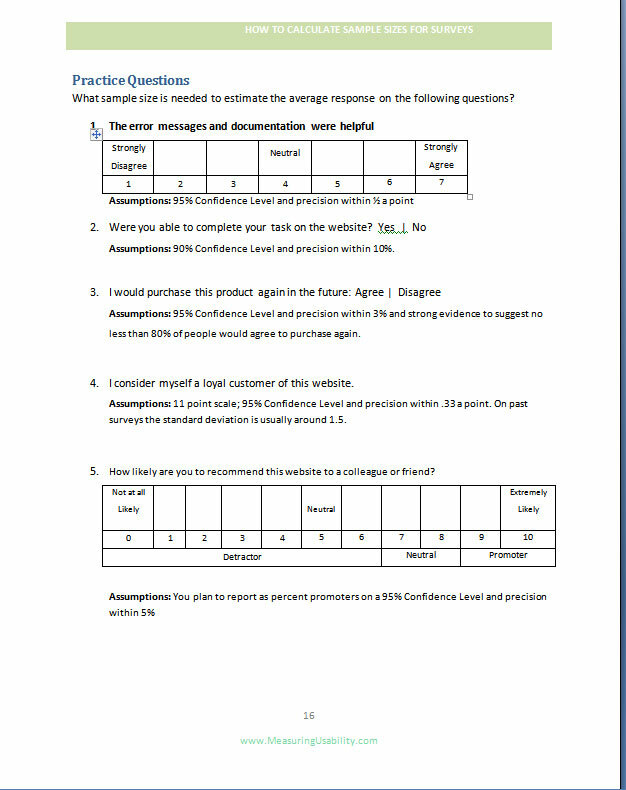 It includes plenty of examples and tips for computing the right sample size based on the question type and response analysis for Binary Responses, Rating Scales and Net Promoter Scores. 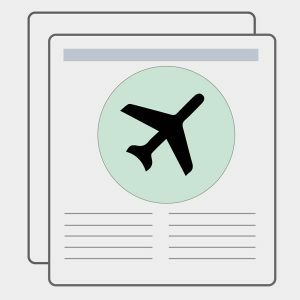 What Sample Size do I need for this survey? How many times have you heard or said that? 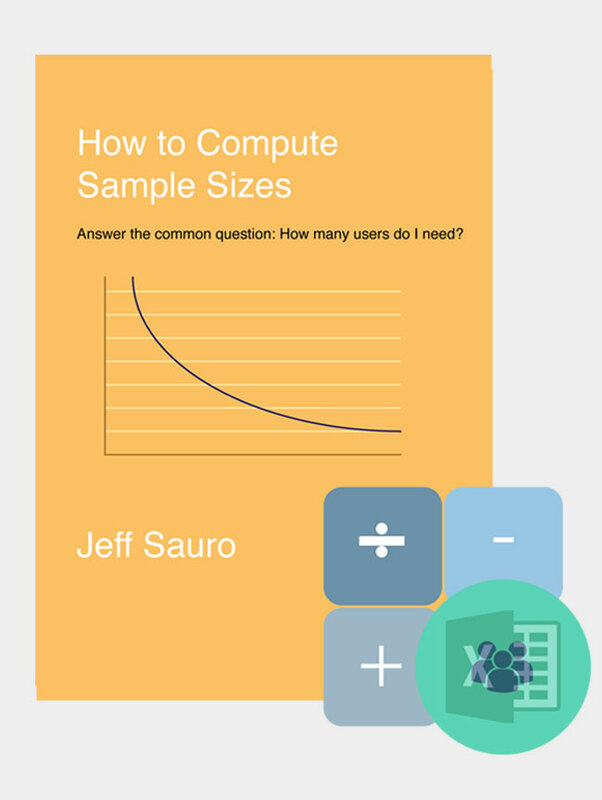 This package solves your problems by providing calculators, explanations, formulas and plenty of tips for navigating sample size questions. 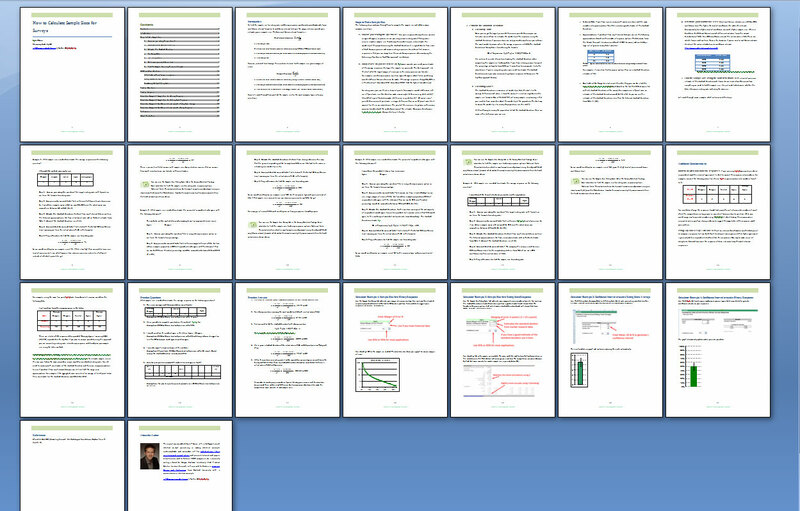 The math is done for you! 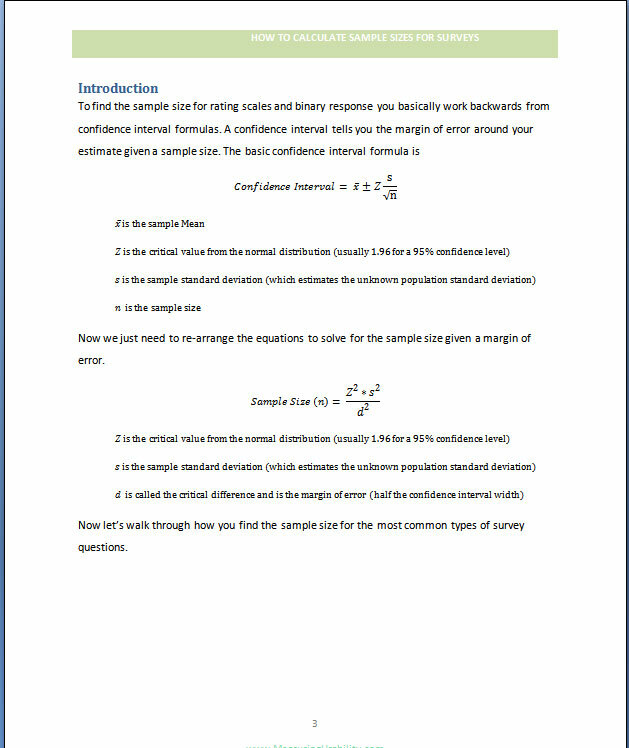 If you think sample size calculations are magic and not math, the guide and real-time calculations will show you how it's possible to generate reliable sample size estimates. 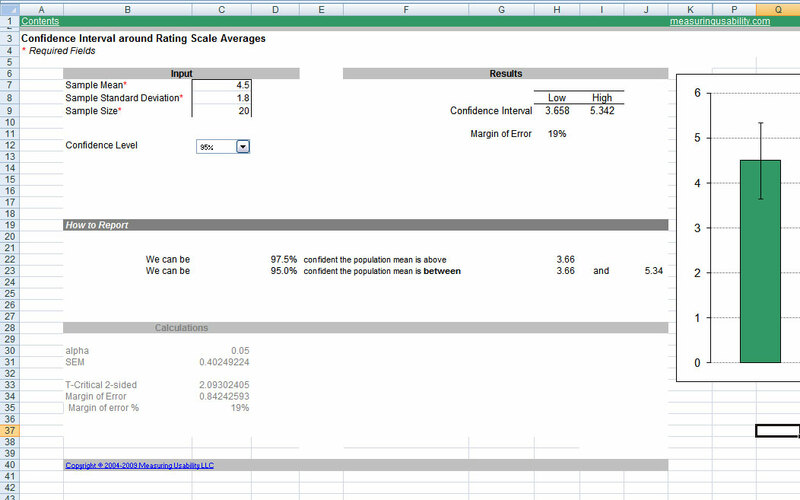 Built in Industry Assumptions Not sure what standard deviation to use? 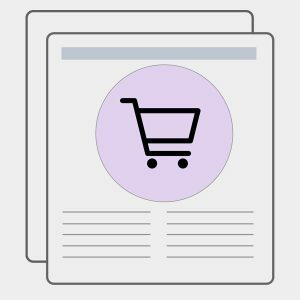 The calculator has built in benchmarks from Market Research that allows you to be intelligent predictions about sample size. 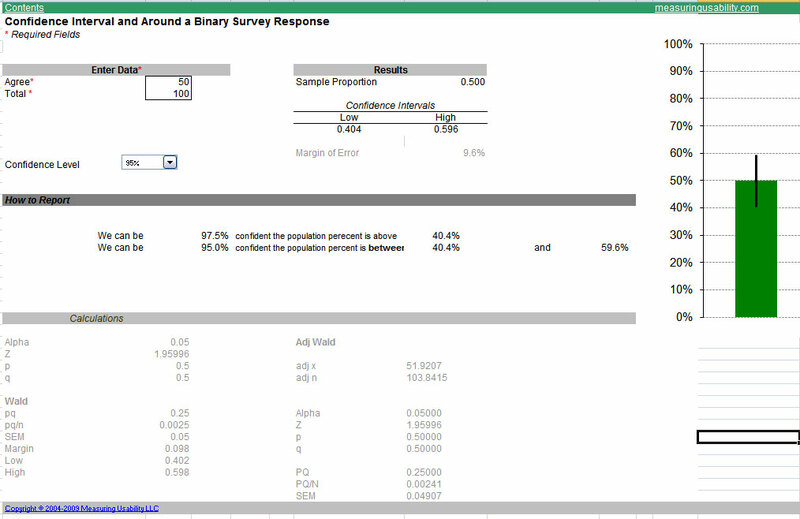 Confidence Interval BONUS As an added bonus, I've included three confidence interval calculators. 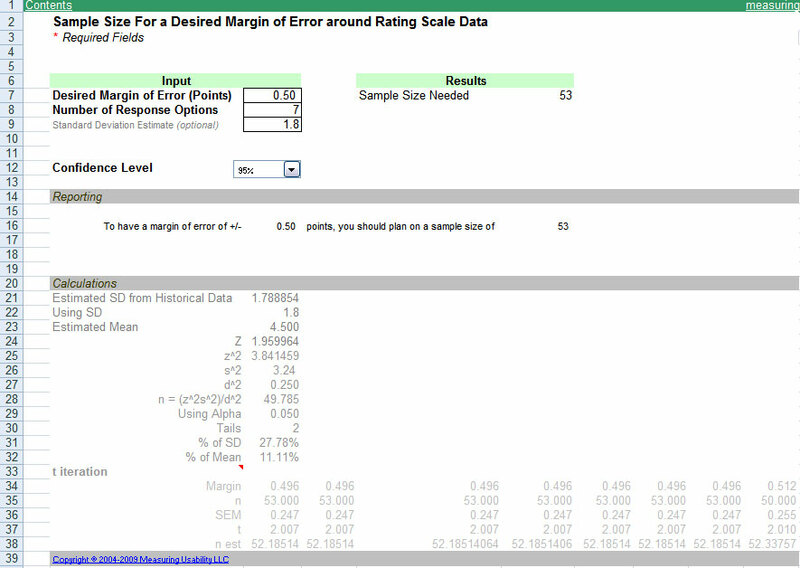 These calculators allow you to understand the margin of error before and after you sample for a Net Promoter Score, Binary Response and Rating Scale response.